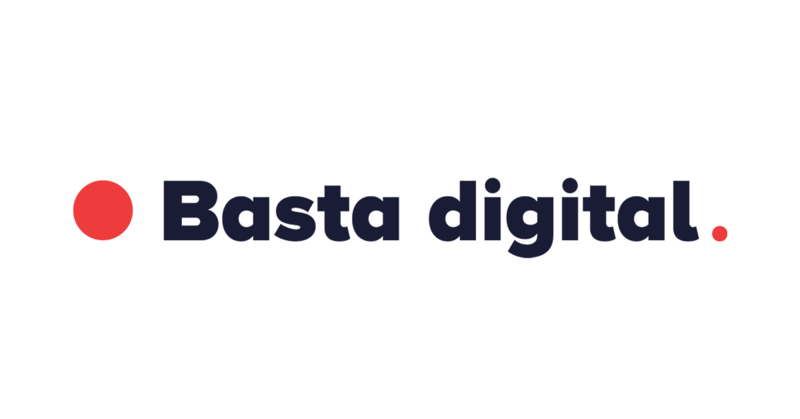 Basta digital is the new Pizza SEO! Marketing agency Pizza SEO is becoming Basta digital after 12 years in the market. Pizza SEO was created as an agency focused on SEO – Search Engine Optimization but currently covers complete performance marketing for over 80 clients. “The name Pizza SEO is well known but in the last few years has not reflected well what we really do – complete performance-focused marketing in a digital world,” Basta digital Managing Director Ján Laurenčík said. Visual identity for the new brand was developed by Bratislava-based Truben Studio. “The logo works with the position of two dots. They represent the relationship of two cosmic objects but also an expression of what happens after the full-stop at the enf of a sentence. This displays a universe of relationships taking part in each small detail covered by a digital agency’s work.” Pavol Truben explained. In 2017 Pizza SEO co-founded Bluealliance – an alliance of leading independent performance marketig agencies in Central Europe. Together with it alliance partners, the agency covers the whole region for SLovak clients. It is one of only six Slovak key Premier Google Partner agencies specialized in Google AdWords advertising. Deloitte ranked Pizza SEO among the fastest growing firms in its Technology Fast 50 CEE 2016 and Fast 500 EMEA 2017 rankings. Along with the new name the agency introduced a new team structure in 2018. Combined client-centric teams have replaced teams focusing on specific marketing functions (SEO, online ads, social media, web development). Current Basta digital performance marketing clients include Slovakia-bassed companeis with domestic and international activities such as iClinic, Kúpele Dudince, Popradské, Slovak Lines, Tatra Banka, Metlife, Uniqa and Innovatrics, as well as a number of small fast growing export firms.